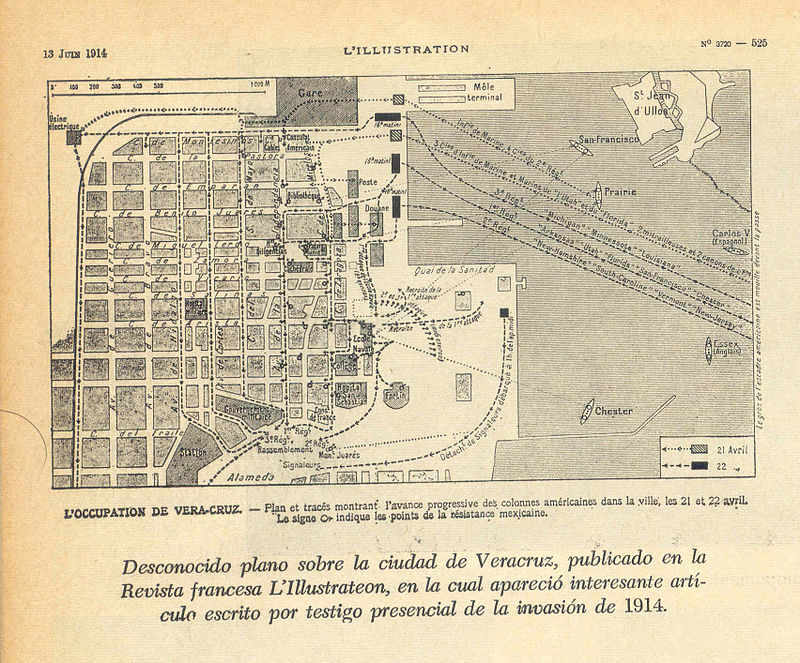 Map showing the US attack on Veracruz, Mexico, from the 1914 magazine “L’Illustration” and republished in “Revista Jarocha” in 1966. Via Wikimedia. 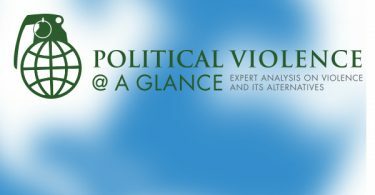 By modeling its fight against Boko Haram on the Sri Lankan state’s brutal war against Tamil separatists, is Nigeria choosing the worst possible model for its counterinsurgency strategy? Relatedly, the economic cost of recent communal violence in Sri Lanka, the worst since the war that brought the controversial 2009 government victory that Nigeria reportedly hopes to emulate. As the US national security community and wider commentariat discuss the possibility of US airstrikes in Iraq targeting the jihadi group ISIS, Daniel Byman and Robert Farley both argue against strikes, with the former arguing that even morale-boosting bombing won’t heal Iraq’s sectarian rifts and the latter warning that history shows that airstrikes which kill civilians only bring popular support to groups like ISIS. What does ISIS want? The group’s English-language media shows young men who have found meaning and self-esteem in conflict, Azmat Khan writes, and — both more or less central to ISIS’ mission, I suppose — an attack in Lebanon shows the group’s desire to disrupt the wider region. Also see this useful brief explainer about the group’s origins and operations. ISIS’ drawing the curtain back from the deep weakness of the Iraqi state has prompted renewed talk of Kurdish independence. Kevin Drum collects a number of commentaries on the prospect of a formally independent Iraqi Kurdistan, including the dramatic warming of relations between Erbil and Ankara, and how tension over oil revenue is pulling Erbil away from Baghdad (via Martin Longman). And speaking of autonomous quasi-states and Islamic states, Adam Elkus examines whether we should consider ISIS a state, and whether it matters. Authorities in functionally-autonomous Kurdish enclaves in northern Syria are accused of human rights abuses, including unfair trials. As of Monday Syria has handed over the last of its declared chemical weapons — though whether this counts as “good news” from a widening and incredibly destructive war is a matter of perspective. What’s in store for Kashmir under India’s new President Narendra Modi? Will ISIS Cohere or Collapse?